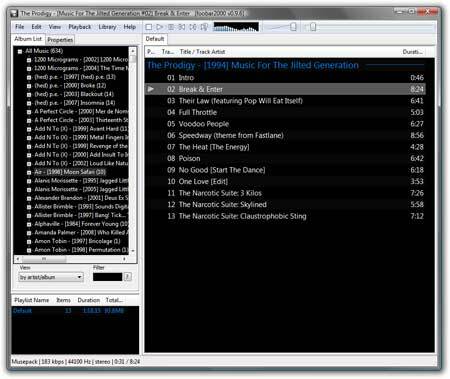 Foobar2000 is a small Portable freeware audio player created by Peter Pawlowski that supports the playback of many audio formats. Supported audio formats include MP3, MP4, AAC, CD Audio, WMA, Vorbis, FLAC, WavPack, WAV, AIFF, Musepack, Speex, AU, and SND. More media formats are supported by installing additional components.